A few years ago, someone shared with me the horrors he experienced after discovering he was being pulled out to sea by a riptide. “It was dusk when I decided to hook up with one more wave before calling it a day. I was stretched out, face down on my surfboard, as I worked my way toward deeper water. When I passed the first line of breakers I turned my board toward the beach and waited. As I lazily floated on the water I lifted my head and noticed that the beach seemed much further away then I remembered it being a few moments earlier. I started to paddle, hoping to move my surfboard closer to land; however, instead of moving forward, I continued to drift further out to sea. A riptide is a strong surface flow of water returning seaward from near the shore. It can be extremely dangerous, dragging people away from the beach and leading to possible death as they attempt to fight the current and become exhausted. Hundreds of people are rescued from their clutches each year. I believe there are spiritual riptides that can be a danger to our walk with Jesus Christ. Sometimes they can be subtle and go unseen, but once we are in their grip, they can pull us away from our peace, our joy, and our confident trust in the Lord. Riptides are stronger when the surf is rough as the result of a storm. When we go through rough times and difficult circumstances, the pull of the enemy can be the strongest. He can attack our minds with thoughts of fear, anxiety, doubt and worry. These thoughts can work like riptides as they try to bring us into the deep waters of discouragement, depression, or despair. Riptides are also stronger when the tide is low. We need to guard our hearts whenever we sense we are emotionally or physically down. If we are not careful, we can be swept into the enemy’s riptide of lies when we are overworked, exhausted, physically weak, or going through great stress or disappointment. If you sense you have been pulled into the enemy’s riptide, do not panic; do not try and fight your way out in your own strength. Instead, cry out to the Lord and ask Him to deliver you. 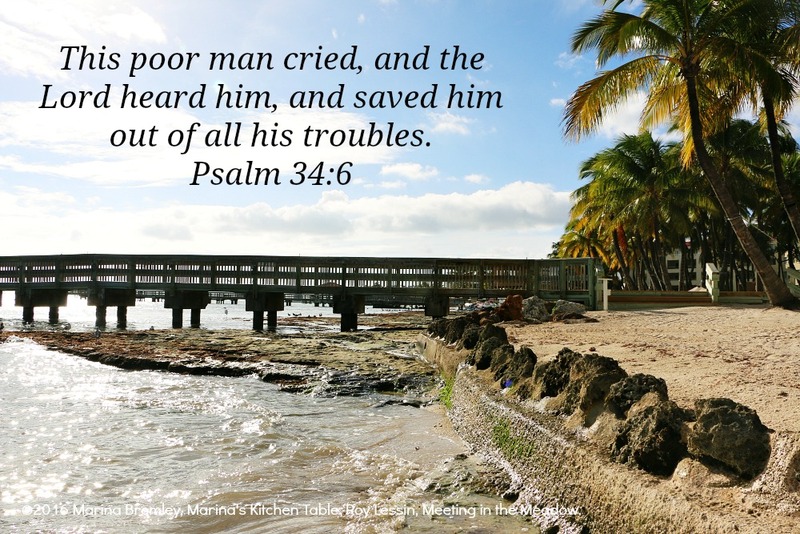 In Psalm 34:6 we read, “This poor man cried, and the Lord heard him, and saved him out of all his troubles.” The Lord is your deliverer, your redeemer, your rescuer, your lifeguard. He is mighty to save; He will rescue you and keep you from going under.